Successful leaders all have different stories about the lessons and experience upon which they built their own success. It is never possible to replicate a specific leader’s biography or to mass produce leaders using one specific formula. There are, however, four common types of experience that influence nearly all leaders’ careers and their subsequent success. These types of experience can be varied, and often occur in different forms, in different environments and with different people. The core components are very instructive. Aspiring leaders or leadership development programs should incorporate all of these experiences. Leaders often learn many of the core lessons of leadership relatively early in their careers. The types of early work experience will vary broadly between people and their situations. Some have early internships or career placements, others have summer jobs while for others it could be volunteering work. It can even be practical work at school or in university. The early work experience is not always positive, and it does not have to be an enjoyable experience to teach valuable career lessons. Effective leaders often learn to take lessons from every experience and learn lessons where none are explicitly taught. Even a boring or monotonous job in ones’ early career can teach useful lessons. It may be that the aspiring leader never wants to do such a tedious job ever again. Others might have the experience of an extraordinarily bad boss. Early experience working for someone who is a dishonest or a bully, for example, may provide an early model of how not to lead a team. Often working for a bad boss can motivate future leaders to do things differently once they are given the chance. In other cases, early work experience can be inspiring. This early experience can provide important lessons about how to work with other people, it may provide thoughtful insight about the work, or the nature of work in general. Many leaders gain skills, knowledge or useful insight about work which they bring with them for the rest of their careers. One of the best indicators of high potential is a person’s ability to learn from any situation, take the best from it, and bring that to make them more effective at work in the future. High performing leaders have the capacity to learn from those around them. Bosses, colleagues and direct reports all can be instructive in the workplace. Learning from other people is essential for any leader to be effective. The lessons from other people can come from a broad range of sources. Teachers, coaches and advisors can all provide work lessons in more formal ways. But the best leaders are capable of learning from the experience of any other people at work. Those who are willing and open to learn quickly find there are many lessons to be learned at work, and every lesson makes the current or aspiring leader more effective in their role. Just as the role of early experience, these lessons are not always positive or enjoyable. It is possible to learn from the successful experience of others, as well as from the mistakes and failures of others. High potential employees and the future leaders should be aware the opportunities to learn from those around them. For the high potential employee it is a balance; be interested and receptive, but not too pushy or self-centred. Good leaders rarely build a career on success in just one role. Some seek out new responsibilities while, for others, serendipity offers new opportunities. The most effective leaders learn when their talents and abilities are pushed to their limits. Learning new skills and practicing different types of work provides opportunities to learn about one’s own limits and capabilities and to get a broader understanding of how businesses and organisations function. In the development of every career trajectory, there are moments where the stakes become higher, the responsibilities greater and everything can seem more complex or ambiguous. This can be a move to a more important role, and the high potential leader recognises its’ importance. These major responsibilities or stretch assignments provide an opportunity to learn in a challenging environment. It also teaches that potential leader the limits of their own capabilities, provides awareness about how they manage higher levels of stress at work. No job or career goes smoothly all the time. Even the most capable and resilient leader will face times of challenge, hardship and adversity. An essential component of any leader’s success is learning how to overcome adversity – it is extraordinarily useful to learn how to manage a crisis early in one’s career. When a leader can learn about working in difficult situations early in their career, it helps them develop the capacity to deal with adversity later in their career. The untested leader who has never had their abilities tested will struggle to react and to manage themselves or those around them in a crisis. Hardship teachers people about the things that are truly of value during difficult times. 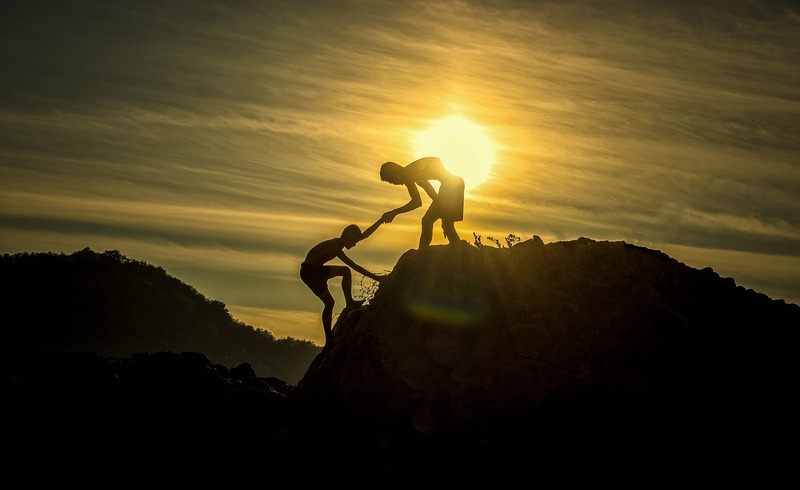 Maintaining team cohesion, using the right tools and technology and the ability to motivate staff and inspire resilience is best learned from experience – and that experience is not always learned during the good times. Hardship teaches many lessons: how resourceful and robust some people can be and how others panic and cave in. It teaches some to admire a fit and happy organisation when they see it. It teaches them to distinguish between needs and wants. It teaches about coping with stress, avoiding panic and making calm and informed decisions. Every leader will make mistakes and fail at some point in their career. One of the essential components of a good leader is the ability to learn from failure. It’s not just about getting the right experience, it’s about getting a full range of experiences and learning lessons from each one. Early experiences of dealing with failure is an important part of development – the lessons can be learned early on when the stakes are low and consequences can be mitigated. A leader who has never before experienced failure has never need to learn from mistakes. A leader who cannot learn from mistakes is a catastrophe waiting to happen. 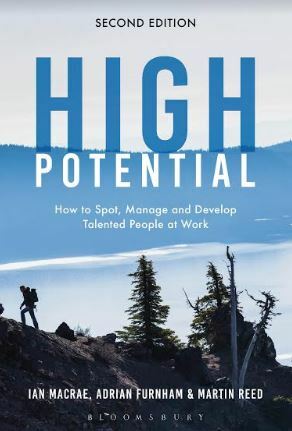 Ian MacRae is co-author of High Potential: How to spot, manage and develop talented people at work (Bloomsbury, 2018) which explains, in much greater detail, how experience and personality shape high potential leaders.